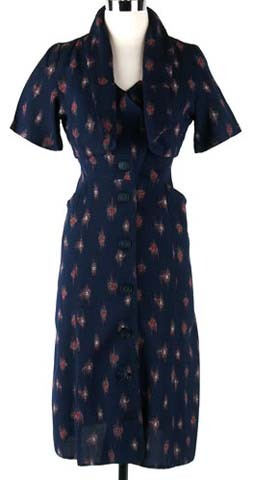 1940s Blue Cotton Arrow Puff Sleeve Bolero Dress. 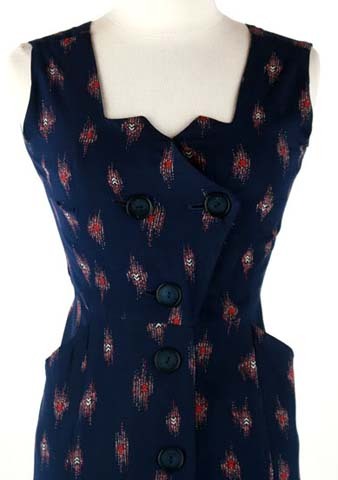 * Blue cotton * Red + white arrow print * Button front * Hip pockets * Matching bolero jacket * "Anne Carter"
1940s Black Puff Sleeve Metal Studs Dress. 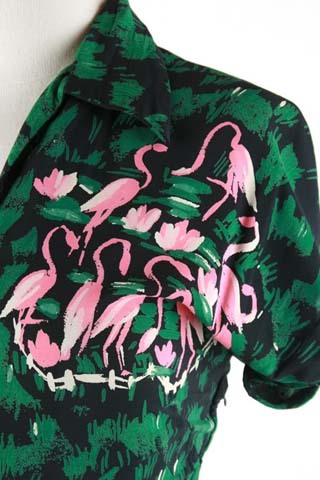 1940s Blue Green Pink Flamingo Novelty Print Dress. 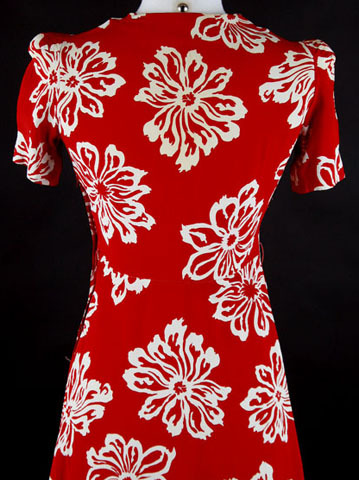 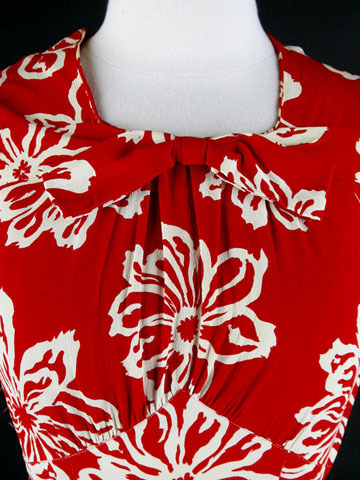 1940s Red Rayon Puffy Sleeve Floral Swing Dress.